A big hello to Evelyn's lovely readers! I'm so excited to be posting on We Were Raised By Wolves as I've been reading Evelyn's musings for absolutely ages! I decided to share a cute little DIY project with you all today, and I hope you'll like it. 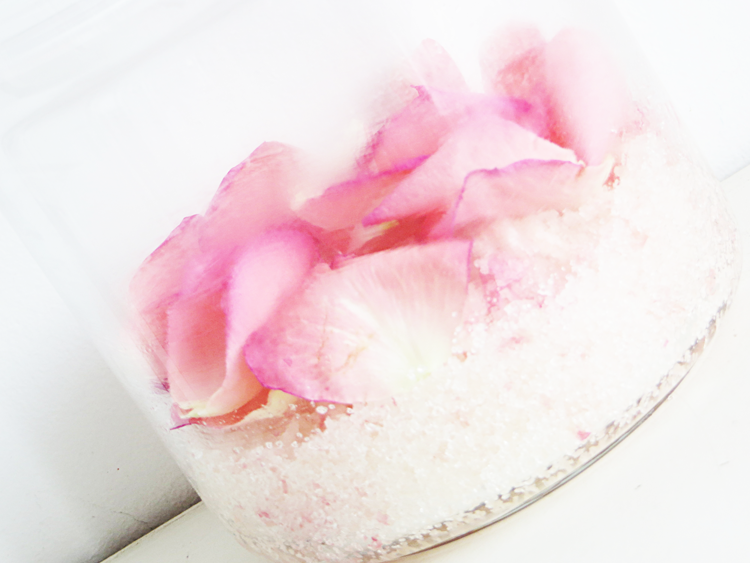 We'll be making a DIY Sugar Body Scrub with Rose Petals - perfect for spring. - a handful of rose petals, best to take them from your own garden & make sure no pesticides were used on 'em! This really couldn't be any more simple. 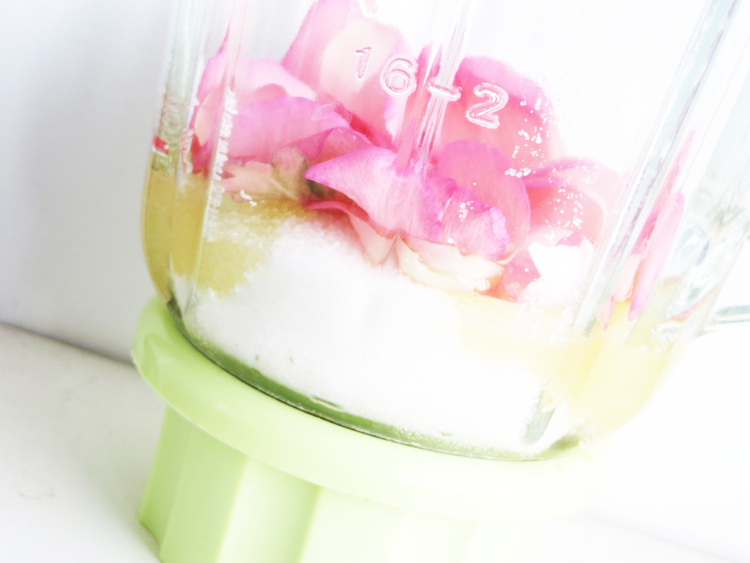 Place the sugar in the blender, pour the oil over it (the ratio should be 4:1) and add half of the rose petals, then blend. Scoop the mixture into a jar, and layer some rose petals on the top or bottom. This will give the scrub that gorgeous floral scent. Make sure to use the scrub up in about a weeks' time! Sesame oil - this is what I used. It's very moisturizing, prevents aging and is really great for massaging as well, which makes it perfect for areas with celullite! Cherry kernel oil - a very light oil perfect for dry & itchy skin. Rose hip oil - smoothes, hydrates, nourishes. Would be perfect if your skin is sensitive, and it also prevents signs of aging! Grapeseed oil - perfect for oily, acne-prone skin. High in vitamins C and E, and can be used on problematic areas of your body. Well there you have it - a homemade alternative for a lovely body scrub. I'd love to know what you think of this post & if you'd be interested in trying the DIY project! You can find more posts like this on my blog at http://nothinfancyreally.blogspot.com/ - hope to see you there! 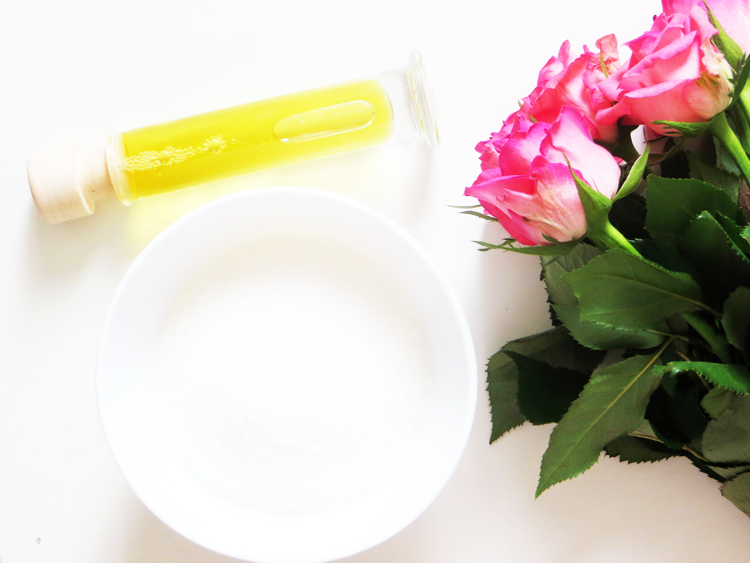 Big thanks to Živa for this gorgeous DIY body scrub recipe! Check out her amazing blog, Nothin' Fancy Really and you can also follow her on Youtube, Bloglovin', Twitter, Facebook and Pinterest! Thanks for sharing. & Your photographs are so pretty! Wonderful guest post! This looks absolutely lovely. 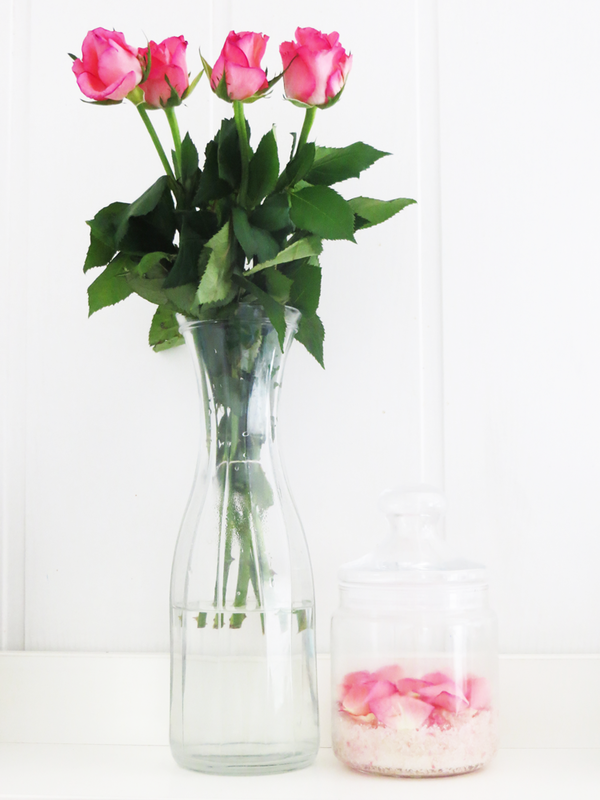 This is such a great DIY, and I love how pretty the rose petals look!